Dearborn, MI. 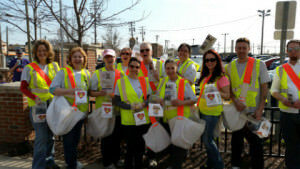 – On Saturday, April 23rd, Exchange Club volunteers and other kind supporters are heading out to key intersections in downtown West Dearborn for a collection drive to benefit the animals in the care of the Dearborn Animal Shelter. 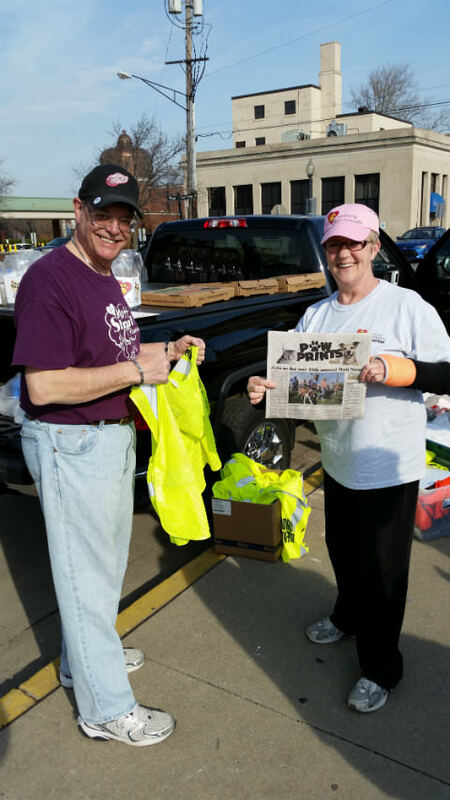 For a second year in a row, volunteers will have a special Mutt Strut “Paw Prints” newspaper edition available for any donation offered, to help promote the 11th Annual Mutt Strut & Pet Expo. Mutt Strut & Pet Expo takes place on Saturday, May 14th and is a pledge-driven dog walk and community wide animal celebration day. It is the largest gathering of pet fans in the area. Festivities take place at Ford Field Park in Dearborn from 10 a.m.-3 p.m., with the walk commencing at 11 a.m. Mutt Strut highlights include a midway of vendors with services and products for pets and humans. There is a Doggie Fun Zone with contests, games, and activities for you and your pup, and doggie competitions, including a K9 Run Fun and high-flying Disc Dogs of Michigan Frisbee challenge. Entertainment and free family fun events take place all day long. And food trucks will be on hand serving a great variety of street cuisine. 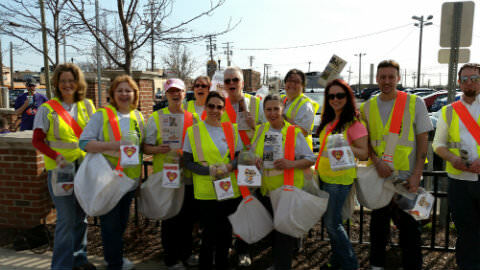 Register for the walk online using a special event website, DearbornMuttStrut. Exchange Club will be conducting the street collection drive for the fifth consecutive year. For the first three years, it was held solely on the Saturday of Mutt Strut. Last year, the drive expanded to include a pre-event collection day and one on the day of the event. Both of these collection days, Saturday, April 23rd and Saturday, May 14th will take place from 10 a.m.- 1 p.m. According to Pat D’Ambrosio, Exchange Club member and collection drive organizer, “Our members and volunteers look forward to this event every year and take part in this unique way to get out and support homeless animals in our community”. Adorned with bright vests, the collection team is going to be stationed at major intersections in Dearborn, including Michigan Avenue extending from Outer Drive to Oakwood Boulevard. The Dearborn Animal Shelter is located at 2661 Greenfield Road, Dearborn, and is operated by the Friends For the Dearborn Animal Shelter, a 501(c)(3) nonprofit organization. Phone (313) 943-2697 and online DearbornAnimals and follow the shelter on Facebook and Twitter. Exchange Club of Dearborn is the local chapter of the National Exchange Club, a 100-year-old service organization. Members participate in fundraising activities and outreach to support local youth and other nonprofit organizations to improve lives for those in Dearborn and surrounding communities. To learn more about the Exchange Club, phone 734-355-8114 to learn more about the Exchange Club.